Our Change Management NLP Course gives you the capabilities, skills and structure to be an effective and successful consultant and catalyst for change. This NLP Course will show you how to manage change successfully within your organisation. When combined with your own unique skills and experience, the result will be a highly practical and applicable consultancy skill set. In particular, you’ll develop your structured thinking and planning skills and your ability to sell the tangible results of your expertise. This course is part of our suite of company-based courses and is designed for managers and executives who have to manage change as part of their job. Individual NLP training is also available from Business NLP Ltd.
During this course you will develop your ability to understand and manage change. You will learn how to recognise the real barriers to change and how to overcome them. You will learn to anticipate the ‘hard’ decisions and ensure they are addressed appropriately. 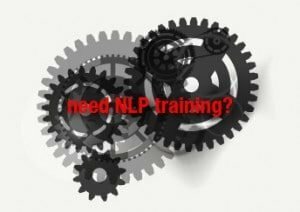 Combining this NLP course with other master practitioner modules such as Leadership NLP Course and Sales NLP Course will dramatically increase your effectiveness. Successfully managing change is a difficult skill and when you have mastered it you will find your reputation rising within your company. In addition, this NLP course provides exciting new avenues for learning pragmatic and marketable skills. What an NLP consultancy / change management capability will do for you. What a consultant / agent of change can bring to a major change project. How to ensure the benefits of change are achieved. Learning the barriers to change and how they can be overcome. The potential value of managing change successfully. How change can be accomplished at board, management and specialist/worker levels. Developing your own model for change. Improving your consultancy selling skills. Managing and maintaining a consulting relationship. Establishing your own objectives from the course. Developing your own proposition in managing the change process. Understanding the reasons that many change projects fail and how these can be overcome. Understanding the key success factors in any change project. The questions to ask at the beginning of any change project. Understanding how you can establish the value of any change project. Identifying the needs of the major stakeholders in the project. NLP techniques that can have a major impact in making the change successful. The key competencies in selling consultancy.